Description 1979 Honda Hawk II 400(395) cc engine. 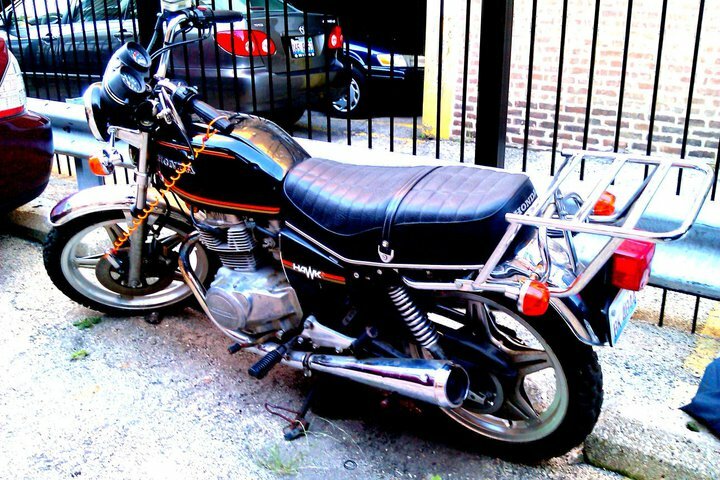 Black body with orange trim, everything original except for the tires which had full thread at the time the bike was stolen. Ignition was messed up, but may be replaced with a new one by now. Pretty much an un-restored bike apart from the tires. Original paint and everything fitting the orange/black styling on those vintage Hondas.